The long-awaited behind the scenes guide for the recent Dark Shadows movie, The Visual Companion, is finally released next week and, courtesy of Titan Books, we're delighted to share some exclusive preview images from the book. 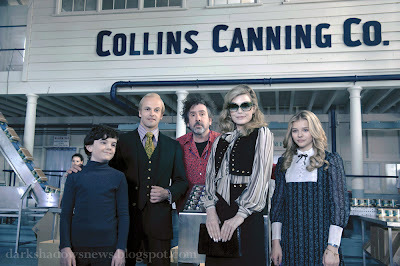 Shown below are director Tim Burton posing with actors Gully McGrath, Jonny Lee Miller, Michelle Pfeiffer and Chloe Grace Moretz, along with early concept artwork for Widows' Hill and Collinwood. Click on the pictures for a larger view. 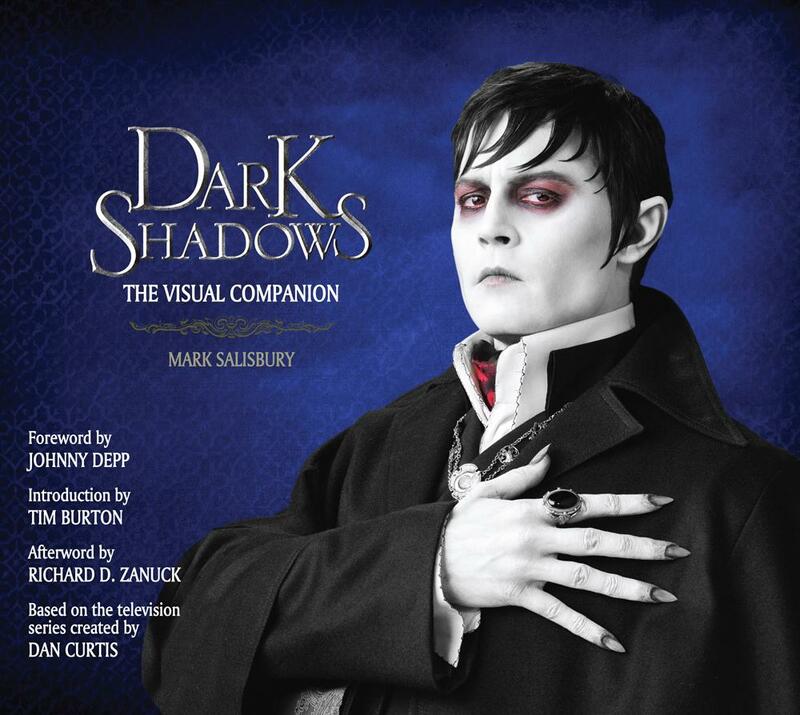 Dark Shadows: The Visual Companion by Mark Salisbury is published on 26th October 2012, by Titan Books priced £29.99, and will be released in the US in November. UK readers can order the book now at a discount price by clicking here. US readers can pre-order the book at a discount price by clicking here. 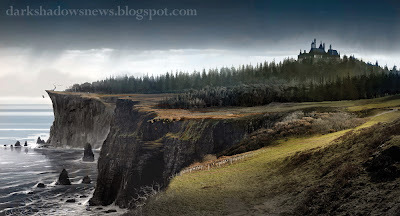 Photographs are ™ & © Warner Bros. Entertainment Inc.
Stunning-Epic effect visuals in the new DARK SHADOWS movie..'love the inside interior and outside exterior of The COLLINS Mansion Home. Outtasight love Johnny Depp portrayal of Barnabas Collins, Michelle Pfeiffer was brilliant as Elizabeth Collins and thought the Cast did a pretty chilly-portrayal of our much beloved DARK SHADOWS. Looking forward to a sequel: and the return of the COLLINS Mansion Homestead (for I was not a happy seeing it burning down!!!).. 'I do believe the East Wing is still intact. I can see the Collin's moving into that part of their Home as their re-pair what was damaged AND meet some chilly ghost(s) from the East Wing! This time around!! Big smile.